Larry Page, Google co-founder and CEO speaks during the opening keynote at the 2013 Google I/O developers conference. A group of shareholders and several Google employees are teaming up to back a proposal that would tie executive compensation to the company’s ability to meet certain diversity goals. But Google’s parent company, Alphabet, is opposing the proposal, saying that linking executive pay to diversity metrics isn’t in the best interest of the company or its shareholders. 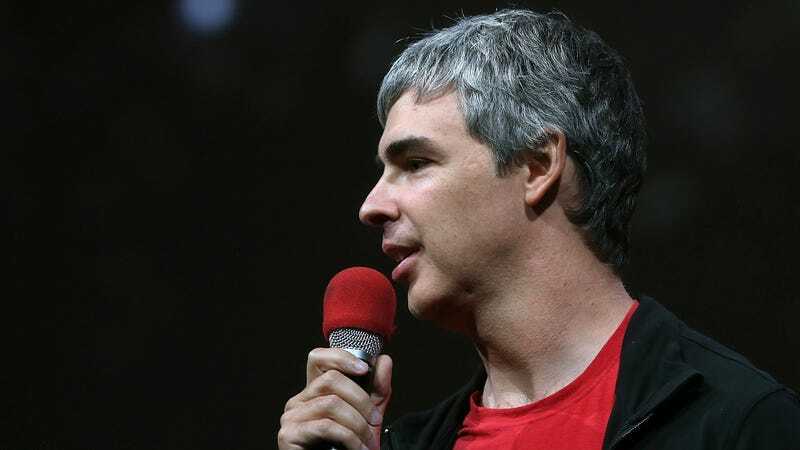 Alphabet’s opposition to the plan sets the stage for a showdown at the company’s shareholder meeting on June 6, when a handful of employees will formally present the proposal. “Our hope is that being there will show the magnitude of how much the problem is affecting us as workers,” one of the employees who plans to attend the meeting told Gizmodo. Google is often viewed as an industry leader on diversity and inclusion, and it was one of the first major tech companies to begin publishing a transparency report with statistics about the number of women and underrepresented minorities in its workforce. But employees have spoken out in recent months about toxic working conditions at the company. They say that their peers have been doxed and harassed for speaking up in support of diversity initiatives, that human resources has penalized and even fired diversity advocates for their work, and that executives have discouraged their employees from participating in diversity advocacy. Several employees are suing Google over diversity issues, and another group of shareholders has asked Google to assess the risks of its alleged wage discrimination against women. And although Google continues to publish its diversity report, the company hasn’t made significant progress in diversifying its staff—its workforce is currently 69 percent male and 56 percent white. In focusing its response solely on Page’s compensation, Alphabet is avoiding the bigger issues at stake, Tomaino added. With Alphabet recommending a vote against the proposal, Tomaino doesn’t expect it to receive a majority vote. However, Institutional Shareholder Services, one of the largest proxy advisory firms in the world, advised shareholders this month to vote in favor of the proposal. Since many large pension funds and investment groups follow ISS’s guidance for voting, Zevin expects it could get as much as a quarter of the shareholder vote. Zevin and the Google employees backing the proposal hope that will be enough support to convey to Alphabet leadership how serious the problem is. “As employees, we don’t feel that we can build good products that help make the world fundamentally better without having a clear diversity stance that’s built into the company structure,” the Google employee said. The proposal represents a step up in employee activism at Google. Employees have met with leadership on the issue of diversity and inclusion, and have recently begun circulating an internal petition that asks for more transparency in HR policies and consistent enforcement of Google’s code of conduct, people familiar with the effort told Gizmodo. That petition has racked up more than 2,600 signatures.